The Preserve at Morris Landing is a new home community in Holly Ridge, NC with new homes priced from the 180's with a a variety of floor plans available. Home owners enjoy the privacy with tree lined property and wooded home sites available. 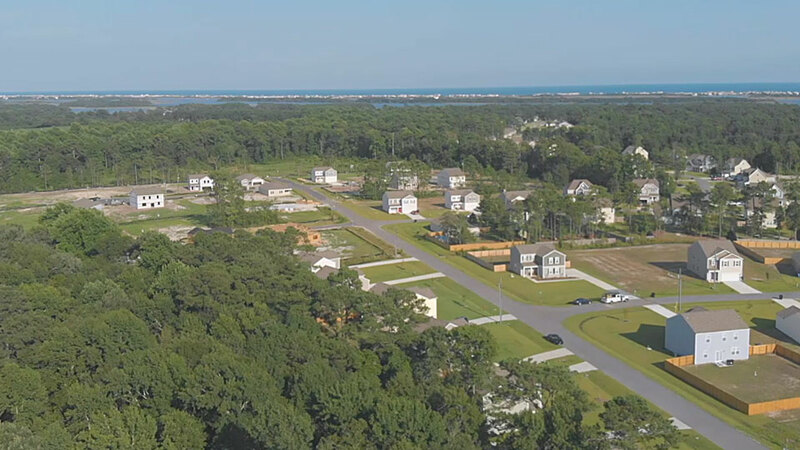 Only 10 miles from Surf City and the beautiful beaches of Topsail Island. Families will enjoy quick access to Camp Lejeune and Jacksonville to the north and the historical riverfront of Wilmington to the south. If you like to be on the water, three boat ramps are close by as well. Floor plan square footage ranges from 1,498 to over 3,000. The Preserve at Morris Landing has very reasonable community HOA dues between $100-$150 yearly. This family friendly community is just a short walk or bike ride to the Intracoastal Waterway. Walk the trail that runs along the water, launch a small kayak or canoe or relax while fishing from the pier. The Preserve at Morris Landing has something for everyone, contact Andrew Smith 910-262-6744 for a tour today!